My family and I visited Kochi prefecture last week. Kochi is located in the south western from Tokyo and belongs to shikoku, which means four islands/prefectures. Thanks to the warm weather and rich atmosphere with plenty of mountain and sea side, Kochi offers various local cuisines including tuna steak, Sarabachi-ryori (a course of small dishes in a big plate), Hat-shape bread, Sweet potato chips, Yuzu and more! The highlight of our trip was “YUZU Hunting”! 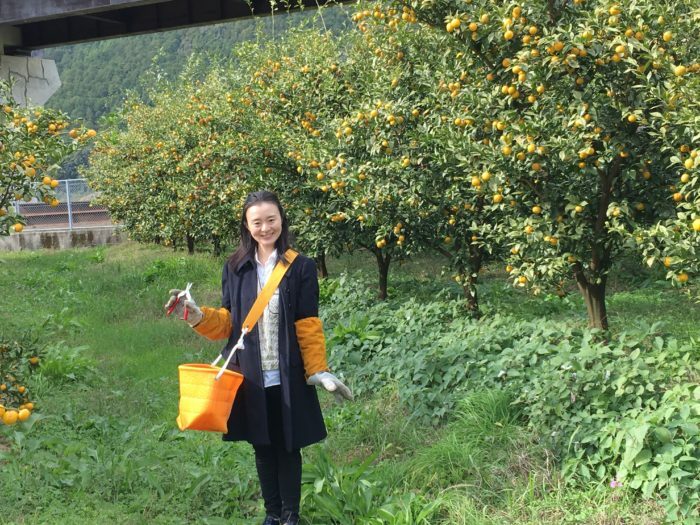 We visited local YUZU farm in kitagawa village which is about 2 hours drive from Kochi-city. YUZU is a Japanese citrus which has amazing flavor and aroma. It looks and also tastes between orange and lemon ! 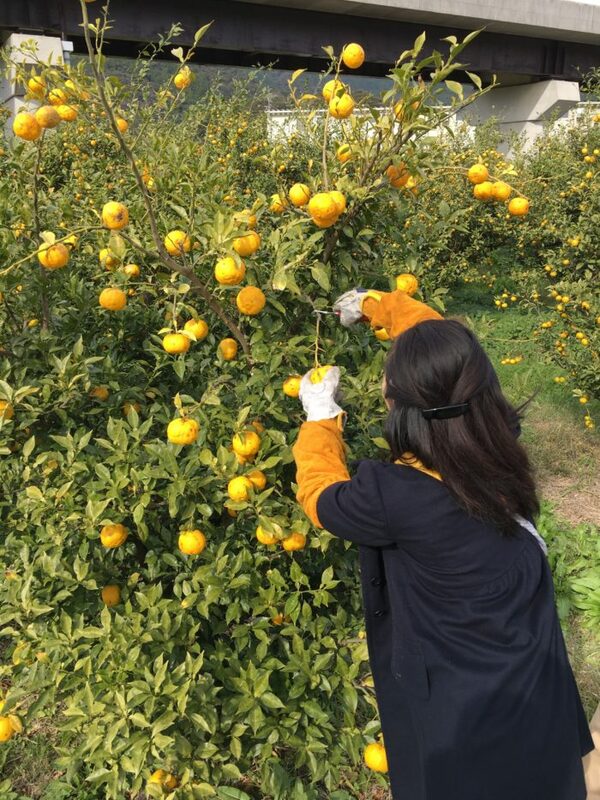 Kochi prefecture is the best production of YUZU in Japan . 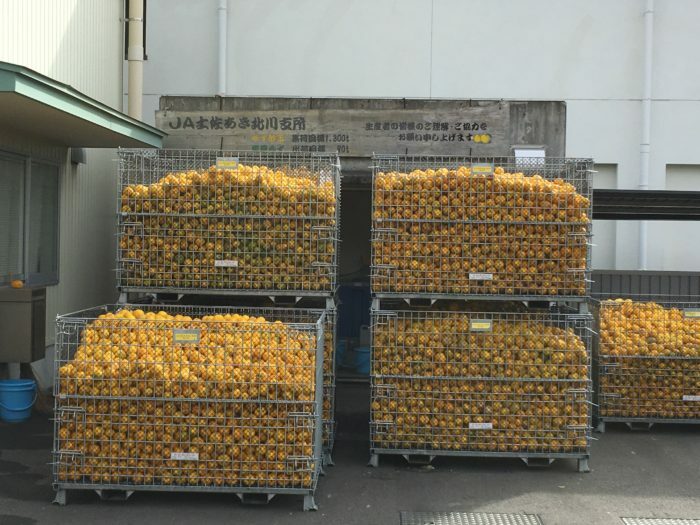 In this farm, they produce the special YUZU only for European market as well. Amazing!!! So I had to wear a special arm cover, leather made glove and shoes. Mr.Kato, the leader of this farm also talked the history, their current production etc. 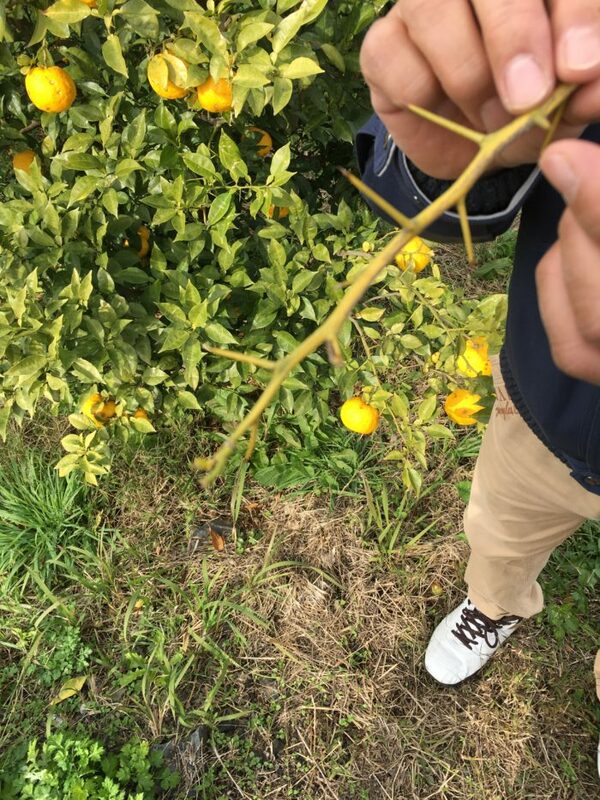 We learned quite a lot about this Japanese citrus. Please ask me anytime! I bought various Yuzu products at their shop. 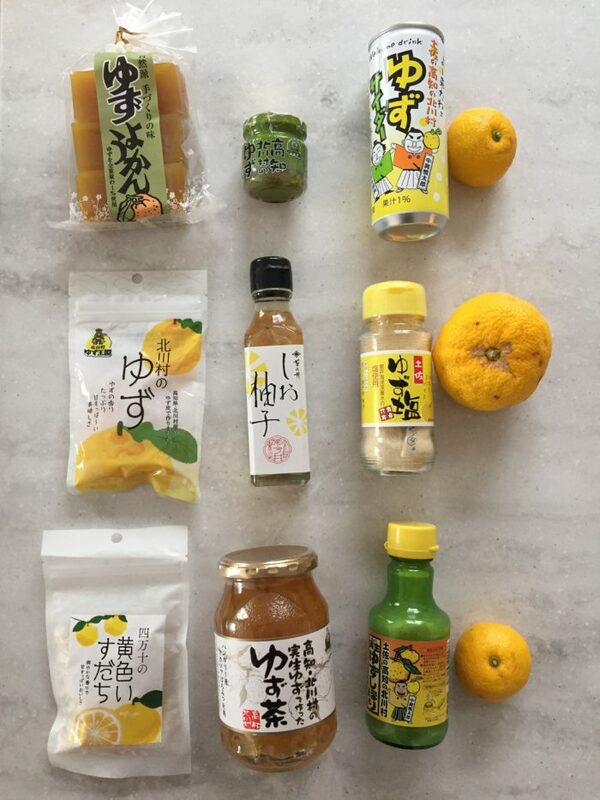 Those are Yuzu tea, Yuzu juice, Yuzu and salt, Yuzu and pepper, Yuzu dressing, Yuzu agar agar jelly, Sweetened Yuzu peel and Yuzu cider juice etc.